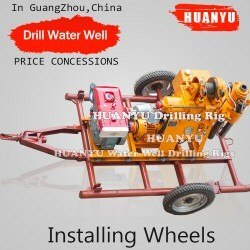 Guangzhou Huanyu Drilling Machinery Co.,Ltd.,founded in 1993s, main products including: Water Well Drilling Rigs,Crawler Drilling Rig ,Drilling Accessories,Drilling Rig Tools,Drilling Rod,pdc drill bit and alloy drill bit. 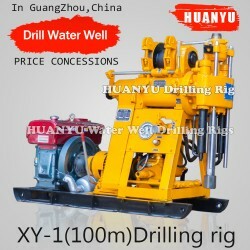 For many years, the company keeps product quality and service developing with professional techniques, excellent equipment and advanced management, and products sell them to both home and abroad. 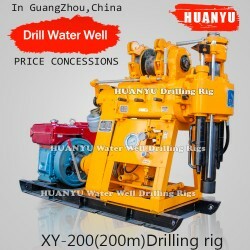 The company has engineering business including： engineering geological exploration, mechanical drilling and dewatering project, prestress anchorage cable, anchoring and shotcreting project, bored pile project. 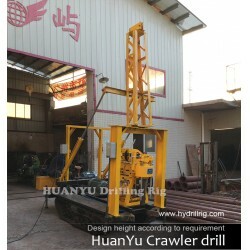 Address : No.4,Songyuan Avenue,Xinhua Town,Huadu District,Guangzhou. Address : Zhongweinongshang Street Qingcheng District Qingyuan. 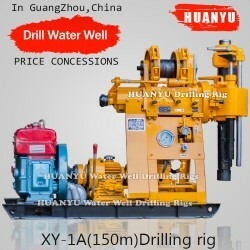 Copyright © 2016 Guangzhou Huanyu(Water Well Drilling Rigs) Drilling Machinery Co.,Ltd. All rights reserved.